EZ Orchards- Locally made Pie. NW Asparagus. Fresh cut local Tulips. Pasture raised local Eggs. And all of the Fruits and Vegetables you need to make a delicious brunch or dinner. Fitt's Seafoods- We have many things for your weekend needs including Lots of our delicious Lobster Salad, fresh Crab and Artichoke Dip, fresh Smokes Salmon spread, Fresh semi-boneless 4 packs of Quail, one lonely jar of Paddlefish Caviar, fresh Halibut Cheeks and oh, so much more. Come see us! 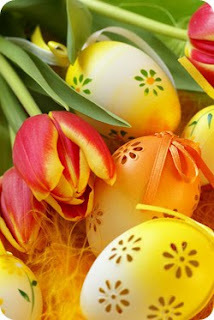 Eola Hills Winery- Easter Brunch with extended hours, 9:00am-3pm: Reservations are necessary! See details and reserve online, for questions email us, or call 800-291-6730 (503-623-2405).Discover for yourself why our Sunday Brunch, like our award winning wine, has been widely acclaimed as the "Best in the Northwest"! Mommy and Maddi's- "Join us for Easter breakfast"
Before heading out to eat on Easter, be sure to give your destination restaurant a call. Many businesses will not be open, so the owners and employees can spend the day with their families.